Roland L. Warren has spent most of his academic career teaching and studying communities and social change. He has published several books and numerous journal articles in these two fields. Since his retirement (he is now over ninety), he has turned to other pursuits, publishing two novels and three biographies, mostly dealing with seventeenth-century colonial Massachusetts. He also enjoys composing music, both sacred and secular. He and his wife, Margaret Hodges Warren, a violinmaker, have been active Quakers for the past fifty years, having helped found Friends Meetings in Alfred and Rye, New York. They have worked on assignments with the American Friends Service Committee, including directing International Student Seminars in Denmark and Austria and Diplomats Conferences in Clarens, Switzerland. They spent two years in Berlin when Roland was Quaker International Affairs Representative to both parts of the divided Germany during the height of the Cold War. 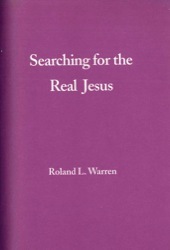 Roland Warren also served on the AFSC Board of Directors for a number of years, during which time he led peace missions first to North Korea and then to South Korea.